The play begins with the players set up in a 1-3-1 offense as shown. Player 2 has the choice of feeding either post in the high or low position. If he feeds the low post it would be easier if the low post leads to the sideline to receive the ball. Once the ball is fed to either post, player 2 then cuts to the basket. 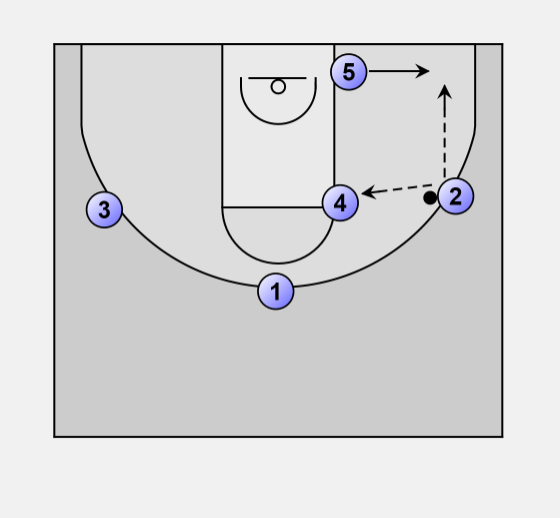 Players 1 & 3 then rotate to fill the empty positions. 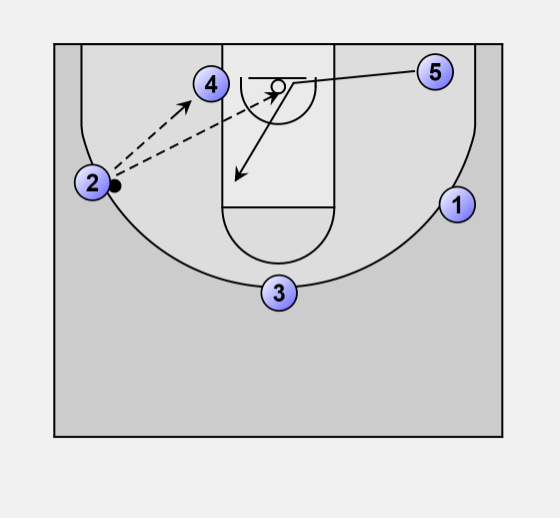 The post player with the ball will try to return the ball to player 2 as he cuts to the basket (give & go). If this is not possible the ball is passed back to player 1 in his new wing position. 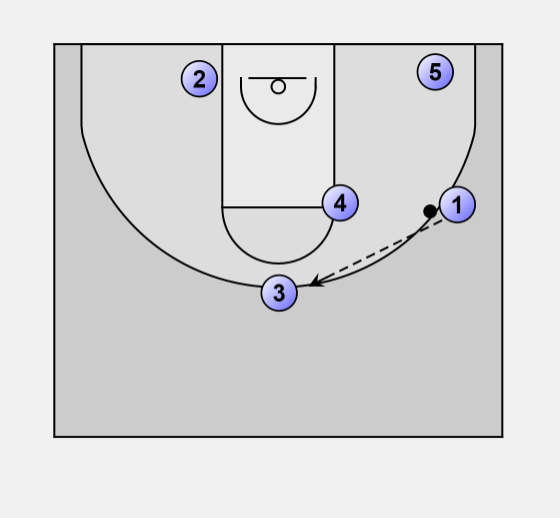 If player 2 does not receive the ball on his cut to the basket he continues thru the key and fills the weak side wing position. Player 1 then rotates the ball to 3. 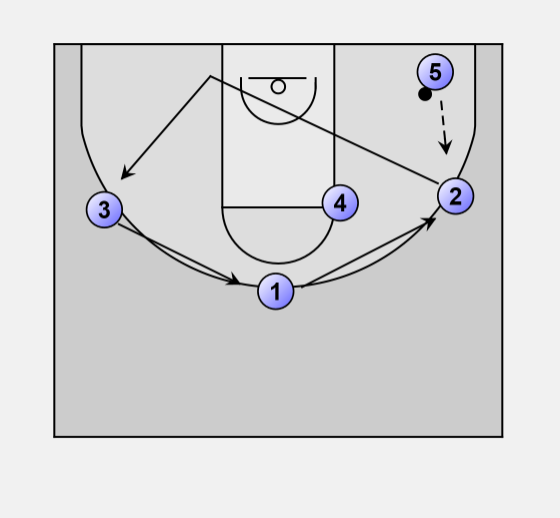 Player 3 looks to feed 4 who is sealing his player for the feed down the middle. 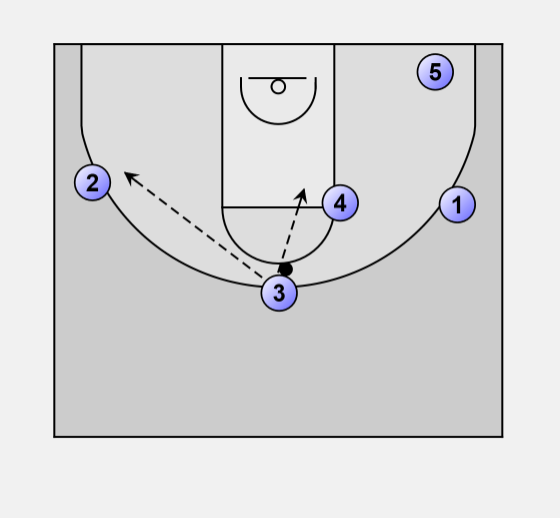 If not available player 3 then rotates ball to the exiting 2 for the jump-shot or feed to rotating posts. 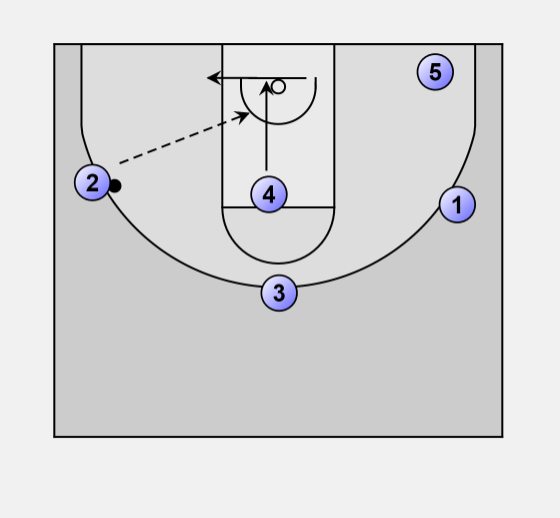 2 can pass to 4 in low post or wait for 5 who flashes to bucket and then to high post. Play can then continue from opposite side.